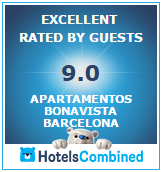 Luxury at your grasp next to the Passeig de Gracia! Luxurious two bedroom apartment with private terrace in the center of Barcelona! Modern and bright 2 bedroom apartment in Gracia! Quiet apartment just minutes from the Passeig de Gracia! Exclusive penthouse with large terrace overlooking Pedrera! Exquisite apartment on Passeig de Gracia! Amazing apartment located in the famous Passeig de Gracia! Amazing penthouse with large terrace overlooking La Pedrera on Passeig de Gracia!